From Tacoma to Seattle to Bellevue to Puyallup, we have been providing chimney cleaning services to homeowners for over 35 years. As an experienced chimney sweep contractor, our technicians provide an 18-point inspection with all chimney cleanings. Keep your home and family safe by having your chimney inspected and cleaned every year. Our skilled technicians are masters at diagnosing chimney leaks and making whatever repairs are necessary so your chimney functions properly. It doesn’t matter what type of fireplace you have, we’ll find the problem and fix it. When a leaking chimney is causing you stress, contact us for the solution. We offer comprehensive chimney masonry services, including chimney rebuilds, new crown/repair, tuck pointing, caps, brick water sealing, counter flashing and more. No matter your problem, our masonry craftsmen have years of experience in fixing all type of issues concerning your chimney. Let us solve your masonry problems so you can enjoy your fireplace. Since 1978, The Chimney Specialists have been providing residential and commercial chimney cleaning and inspection services as well as chimney repairs and dryer vent services to customers in King and Pierce counties. In addition to our chimney services, we are also an authorized dealer for Regency wood stoves and gas fireplaces. Whether you are a homeowner in need of a single chimney sweep and masonry work or a large commercial property with hundreds of dryer vents, we are able to provide you with efficient service at a reasonable price. 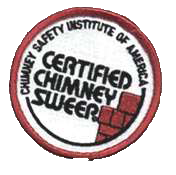 All work is done by experienced employees of The Chimney Specialists who continually strive to meet all of our customers’ needs by delivering service and workmanship that adheres to the highest possible standards.